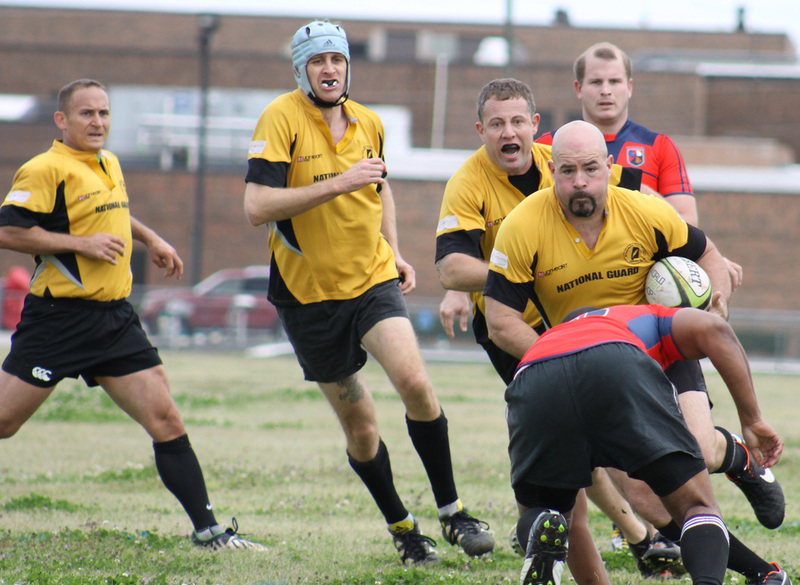 The Hammers came away from the pitch Saturday with an impressive 38-14 victory over matrix rival Macon, Ga. With the win, the Hammers now have the inside track for a berth in the USA Rugby D3 playoffs. Scoring tries for Montgomery were Geoff Rinehardt, Jim Young, Andi McQuade, David Bess, Jason Baldock, and Jim "Turbo Prop" Smith. Chis Branch added four conversions to finish Montgomery's scoring. Baldock was selected as man of the match, while Rinehardt was selected as back of the match and Chris Huff was selected as 'pack of the match. The matrix schedule takes a week off for the Savannah Tournament and then the Hammers take on matrix foe Georgia Perimeter. For full photo album from the Macon match, click here.